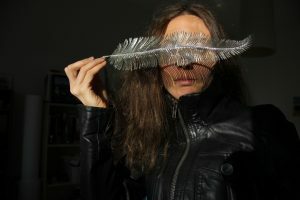 Lora Dimova – visual and performance artist. what do you teach in Maa? The course “Identity” with my colleague Sepideh Rahaa. In my view the role of the artist in today´s world is paradoxical – to be simultaneously insider and outsider in the society, to be its mirror, but reflecting higher, creating temporary paradoxes with eternal characteristics. Maa school has a specific spirit and atmosphere, which resonates with me.